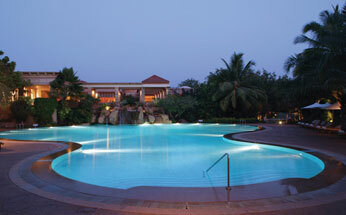 The Leela, Goa is a premier luxury resorts in Goa. The resort is an ideal escape for those who want to celebrate their big moments like weddings and others at an exotic location amidst lap of luxury. 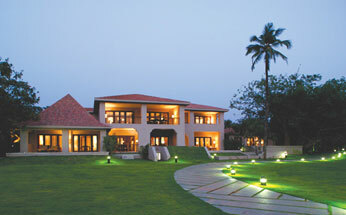 The resort set amidst an sprawling 75 acres of land in South Goa also owns 12 hole golf courses for golf enthusiasts. The charming fishing village in proximity to Sal River is an ideal place to experience the daily life of the Goans. 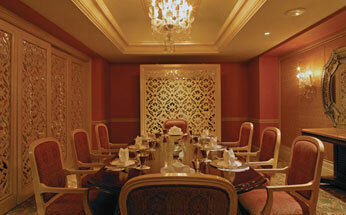 The hotel also owns a conference centre equipped with state of the art amenities. Beach front location has capacity to accommodate about 400 persons in theatre sitting and 200 persons in round table arrangement. Décor: The couples can avail the services of outside decorators as the hotel doesn’t provide this service. 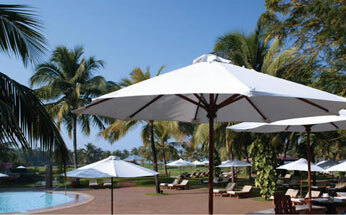 They hotel also provide a small portion of Beach or Hall for a couples wedding. The Leela, Goa has 152 rooms comprising 54 Pavilion Room, 74 Lagoon Suites, 15 Club Suites, Lagoon Deluxe Suites, Royal Villas and Presidential Suite. Every pavilion room has an attached balcony offering panoramic view of lagoon and private garden entrance. 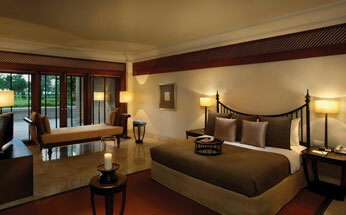 Every lagoon suite is elegantly equipped with all the modern comforts. Besides, every room of the Leela, Goa is well equipped with all the contemporary facilities like multi-channel colour television and safe deposit lockers. The resort has 24 hr all day dining restaurant that serve a fine combination of western, continental and local delicacies. In addition, the restaurants at hotel offer delectable Chinese cuisine to make dinning at the resort a feast to your taste buds.